The Central Arizona Project (CAP) provides renewable water supply to central and southern Arizona, where about 80 percent of the population of Arizona resides. This water supply comes from the Colorado River Basin and is subject to priority administration during drought. Recent drought, as well as studies on the potential impacts of climate change, have put a fine point on the need for CAP to be prepared for changing conditions. A prolonged shortage in the Colorado River Basin due to persistent drought could cause CAP to suffer a reduction in water diversions from the river. In addition, drier and warmer conditions may have broader effects on water demand, the economy, and the financial security of CAP. It follows that climate change could have far-reaching effects throughout the CAP organization. 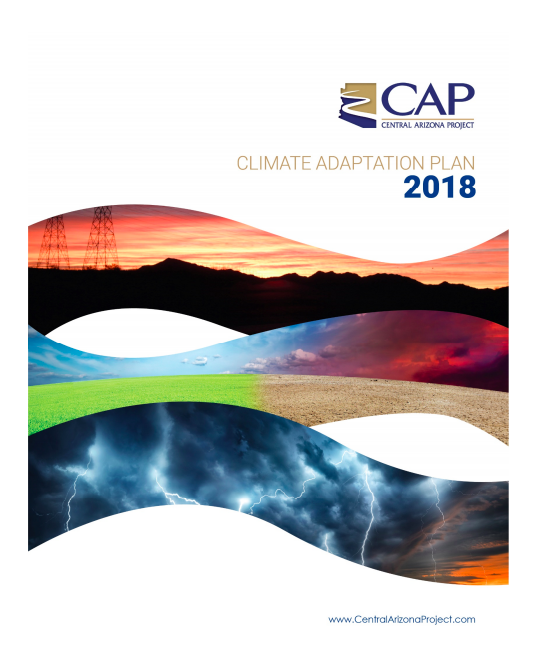 The purpose of the climate adaptation project described herein is to investigate the potential effects of climate change across CAP departments, and develop a plan to increase the resiliency of CAP.